Snoring is one of the most common ailments in the world. The victims can seek treatment but it doesn’t go away immediately, so what do you if you are trying to get some much-needed shut-eye? The answer is noise canceling headphones, along with some other awesome inventions on the market today to fully block out snoring. 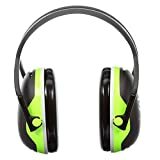 Moreover, in addition to snoring, these noise canceling devices can block out noisy neighbors, traffic, and industrial noise for those who live near highways and busy industries. You can now wake up fully rested without worrying about snoring and other noises disturbing your rest. Below we outline the best noise canceling headphones for snoring, along with other great options. What Should You Consider When Buying Noise Canceling Headphones for Snoring? What Should I Listen To While Trying To Block Out Snoring? 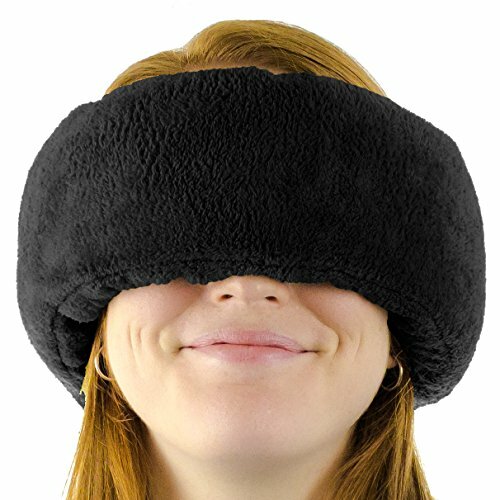 What Else Can I Do To Block Out Snoring & Other Noises? 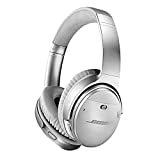 If you are looking for the ultimate solution to block out snoring noises while you sleep, Bose QuietComfort Noise Cancelling Headphones is exactly what you have been looking for. QuietComfort 20 features incredible noise canceling capabilities, coupled with high-quality sound. The headphones are sleek and thin, making them easy to sleep in without having to worry about discomfort while you are sleeping. We believe that these are the best noise canceling headphones for snoring on the market today, and highly recommend utilizing them. 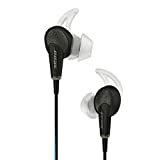 As the name would suggest, Bose QuietComfort 35 Wireless Headphones are the suped-up version of the previously mentioned QuietComfort 20 with a few crucial differences. First of all, these headphones are over-the-ear headphones compared to the previous earbuds, which further helps with noise cancellation. Additionally, these headphones have wireless, Bluetooth capabilities, making it an awesome choice if you do not want wireless to get in the way while you sleep. Bose QuietComfort 35 Wireless Headphones comes with 3 different noise cancellation levels, which you can switch between using the Bose Connect app. This means you can completely block out the world around you, making all of these sleepless nights a thing of the past. The headphones have top of the line sound quality along with the ability to use Alexa. It also includes a carrying case, charging cable, and audio cable if you would prefer to use a wire. Most modern-day smartphones come without a headset jack. This means that you are either stuck with using an adapter (which is annoyingly inconvenient) or using Bluetooth-enabled headsets. 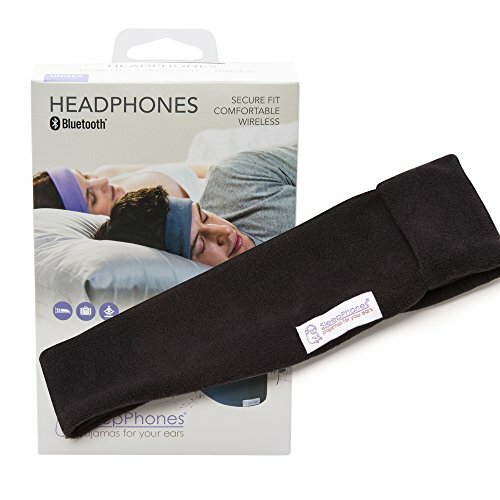 AcousticSheep Sleep Phones headbands are Bluetooth enabled and, therefore, perfectly comfortable and easy to use to block out snoring. You can listen to soothing lullabies – they have a powerful rechargeable battery to stay on through the night. They recharge via a micro USB or an induction charger like that of a modern smartwatch. They are available in different sizes, fabric, and models (with or without an inbuilt microphone) making them suitable for various user needs. AcousticSheep Sleep Phones have flat speakers, which can support your head’s weight for longer periods. They also act as eye masks to shield you from bright lights. Audio-Technica ATH-ANC9 Quietpoint Noise-Cancelling Headphones are powerful, over-the-ear headphones that can help you block out up to 95% of environmental noise. The headphones do a phenomenal job both blocking out sound and most importantly, are comfortable to use and have a solid battery life. It is important to note, however, that some people may find it difficult to sleep with over-ear headphones on at first. One of the things we love about Audio-Technica ATH-ANC9 Quietpoint Noise-Cancelling Headphones is that the audio quality is high, meaning that whatever music you are playing actually sounds great while the active noise-cancellation is in effect. 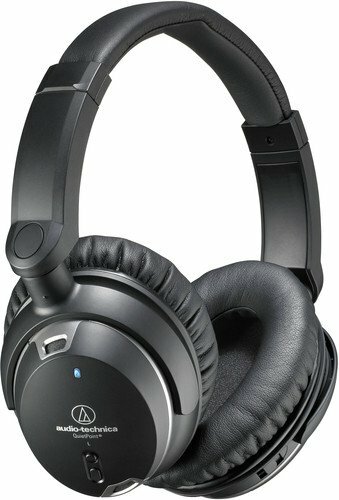 There are many headphones out there that try and do both but end up failing, but Audio-Technica delivers. Bose Wireless Noise-Masking Sleepbuds are phenomenal, noise-masking earbuds that have been specially designed to help you block out unwanted sounds and sleep through the night. It is important to note that the Sleepbuds system is unique – it is not a traditional pair of headphones. It works by simply downloading the app on your smartphone, and then selecting from 10 different soothing noise masking soundscapes – you do not select your own music. Additionally, you can even use the app to set an alarm, allowing you to wake up on time and feeling refreshed. 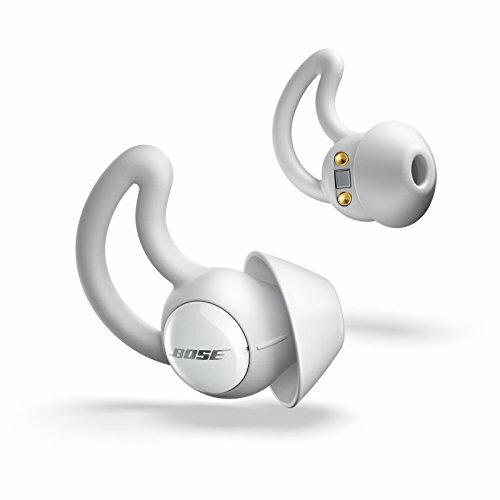 Bose Wireless Noise-Masking Sleepbuds comes with three different sizes to make sure that the earbuds fit comfortably in your ear, but also blocks out any unwanted sounds such as snoring. The batteries last for up to sixteen hours, and the system includes a charging case that also protects your investment. 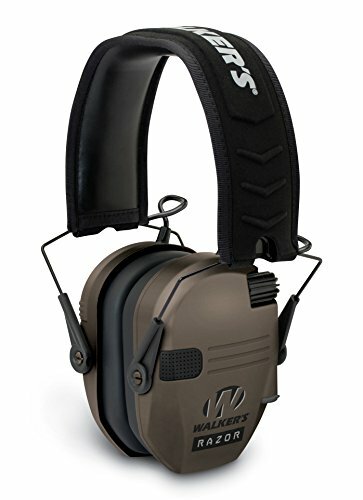 The Walker Razor’s Game Ear Hearing Protection Muffs are very compact and lightweight in nature. They have ultra-thin earmuffs, which fold easily for compact storage or carrying. These headphones can fit in small pouches. They fit comfortably without pulling or pinching, and they have excellent padding for comfortable wear throughout the night. Best of all, they include a standard headphone jack, so you can plug in your smartphone or audio playing device. These Razor earmuffs have two HD speakers, which can filter external noises leaving you to focus on the lullaby. They are AAA-batteries powered, so you have to replace the battery after every 40 hrs. of continuous use. The louder the volume, the shorter the batteries last. They have a single control knob which acts as the on and off switch as well as the volume knob. It’s one-handed and therefore easy and simple to operate. Hibermate Sleep Mask Generation 6 blocks out light completely (even from the sides or under the nose). It is compact, slim, and lightweight and is also machine washable. Its all-weather high-quality inner material is also breathable making the headphones cozy and warm during winter, and cool during summer. The sixth Generation Hibermate features two easily adjustable high-quality elastic straps, which make it fit most head sizes and shapes. It has an outer silky satin cover that slides easily on your pillow and is always in place. Finally, the Hibermate Sleep Mask Generation 6 greatly reduces noise. Its NRR is estimated to be between 15 dB and 20 dBs. For safety purposes, it doesn’t completely block out sounds which is a plus if you rely on an alarm to wake you up in the morning. 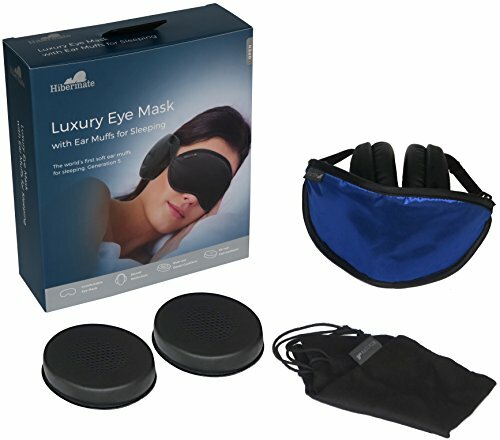 These aren’t technically headphones, but if you are looking for a great way to block out various stimuli such as snoring and light, it is a great choice. However, we do not recommend these if you have to deal with excessively loud snoring. Wrap-A-Nap is the ultimate sleeping accessory to help you sleep well amid snoring partners, migraines, or lit rooms. It has a patented design that muffles sound, it totally blocks light, and can act as a pillow on any surface for extra comfort. It has extended Velcro fasteners for quick conversion into a plush reading or cozy neck pillow. You can also use it to provide lumbar support. Finally, it’s easy to roll up into a small five by five-inch roll that makes it portable and easily attached to your pack. Although it is technically not a set of headphones, this is the best solution if you already have a set of headphones and you simply want to block out snoring noises. 3M Peltor X-Series Headphones have a precise sleek design available in various models with their noise resisting quality ranging between 22db and 31db. They are very effective noise canceling headphones for snore sounds. 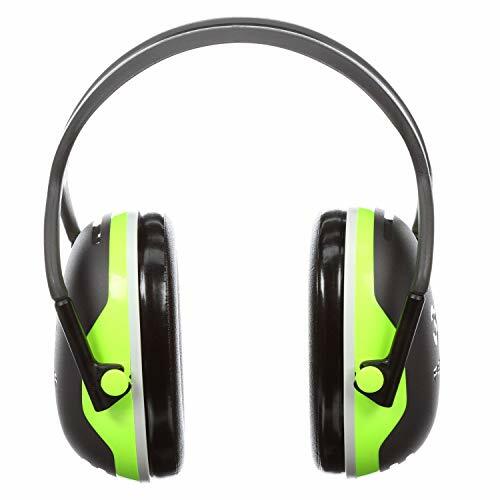 They are also perfect for high effect noise resistance, shutting out distractions, and eliminating noise when you need a quiet and peaceful environment. They have wire headbands, which are electrically insulated to help avoid hazards when around electricity. The features can vary significantly amongst all of these options because each choice can be drastically different. Some of the options on this list just offer the ability to slightly muffle the sound, while we have also included top-of-the-line headphones with phenomenal active noise cancellation abilities. You have to decide what is best for you. There are three types of noise-canceling headphones: The fabric headbands (most have in-built headphones), earbuds, and over-the-ear headphones. Many people tend to prefer the fabric headbands due to comfort. Additionally, for side sleepers, over-the-ear headphones may not be a good choice as they might hurting your ears while sleeping. However, many people find other designs to be more comfortable, so we have included a wide variety on this list. 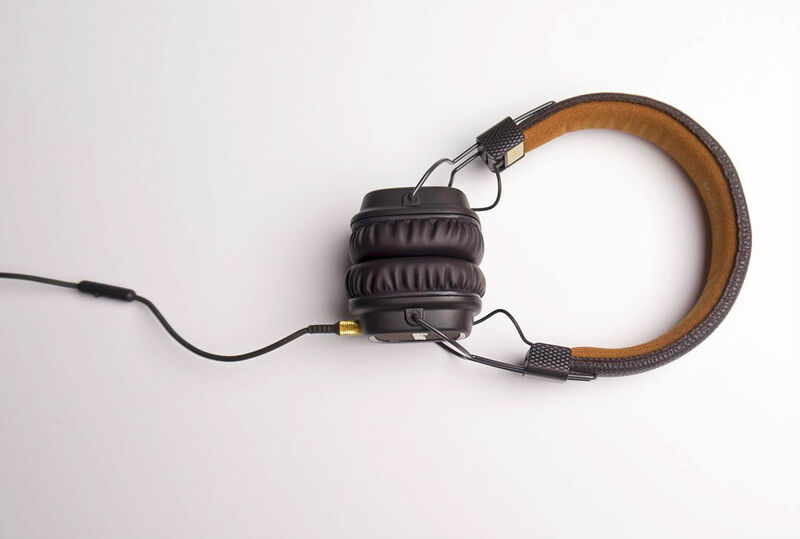 The material that headphones are made of affects durability, and headphones, earbuds, and ear muffs can all be made from a variety of different materials. How can you have a good night sleep if you’re not comfortable? The best noise canceling headphones for snoring have excellent padding and are comfortable, making it easier for you to sleep while wearing them. However, comfortability can differ significantly between each person, and it may take a few nights to get used to sleeping with a certain pair of noise canceling headphones on. So you have finally decided to invest in a quality pair of noise canceling headphones, but now you have the question – what do you listen to? This is a personal decision and it may require some experimenting. On one hand, we recommend blocking out snoring sounds with white noise. This can be achieved by downloading a white noise app on your smartphone. That being said, plenty of people enjoy listening to music as they fall asleep. This is much more of a personal preference, but we recommend ambient music or something more classical. Make sure you set your playlist correctly though, otherwise you risk having something loud and obnoxious blast in your ears after your relaxing music concludes! There are a few extra things you can do to help block out snoring noises. We recommend looking into a high-quality fan or white noise machine – these can create a white noise effect, which will help block out the sound. Additionally, you can look into investing in a wedge pillow, which may help stop your partners snoring. We thank you for taking the time to read this article! 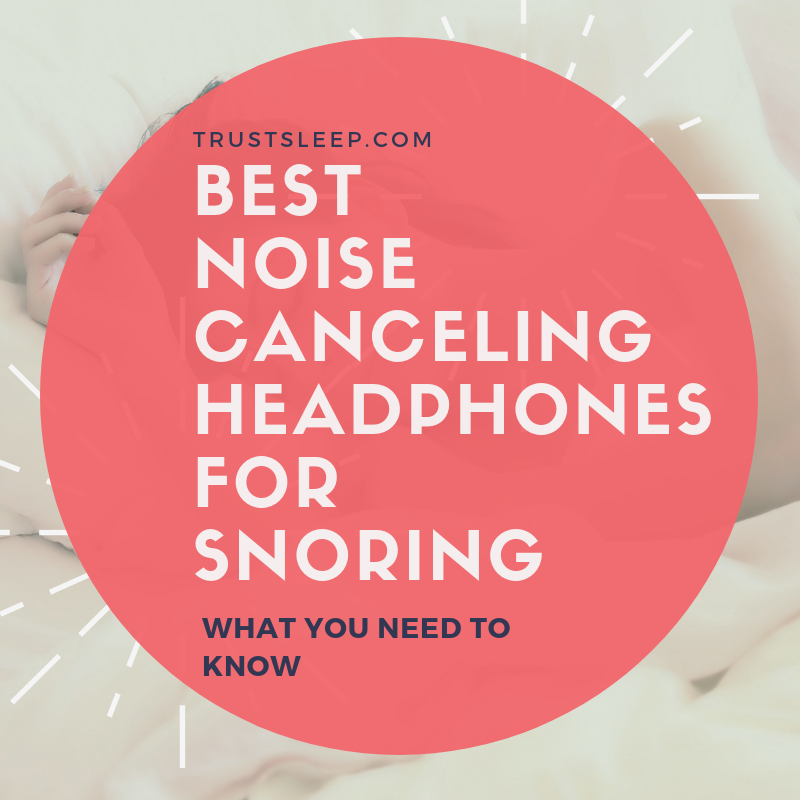 We hope with this list you are able to find a great pair of noise canceling headphones that will block out snoring so you can finally get a great night’s sleep. If you have any experience with noise canceling headphones, feel free to leave a comment below. Enjoy your peaceful night’s rest. ← How Do Cooling Blankets Work?